In this paper, an efficient hardware relay is presented that is implemented based on syntactic pattern recognition techniques. The proposed system is capable of detecting faults existing at power system waveforms in \(\upmu \)s, after reading each peak of the examined signal, aiming to reduce or even to totally prevent safety problems and economic losses. In order syntactic pattern recognition methods to be utilized as a recognition tool of waveforms at transmission lines, the tasks of selecting appropriate primitive patterns, determining the linguistic representation and forming a suitable grammar, should be developed. In this study, attribute grammars have been selected to model the examined signals due to their power to describe syntactic and semantic knowledge. The hardware implementation of the suggested relay, that stands on Earley’s parsing algorithm, is developed using Verilog hardware description language, downloaded on a Virtex 7 XILINX FPGA board and evaluated through real waveforms and data received from IPTO. 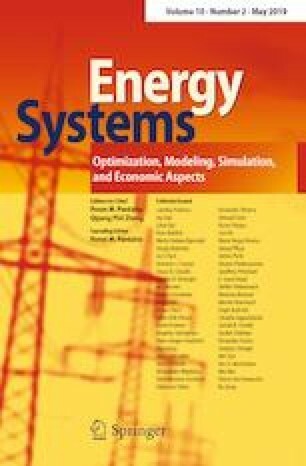 The obtained results have shown that the presented system could be an efficient alternative tool in the field of transmission lines’ fault detection.